Lesson information: The group includes max 4 students. The cost of each lesson is £40 to share (£10 each if there are 4 participants). Ciao! 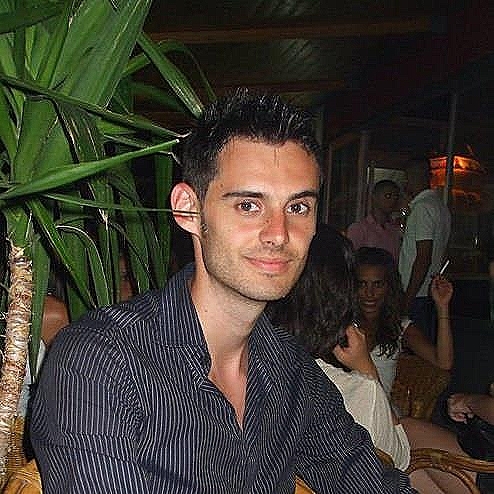 I am Stefano, a native and qualified Italian teacher with CLTA certificate of Italian teaching to adults. Language is the key that opens the door to the knowledge of a place and its people. I feel really proud of my origins and always happy to help my clients by providing info about the culture and traditions of Italy. I believe as a teacher imparting technical knowledge is important but it is also essential to inspire interest and an enjoyable learning experience. I always try to keep my students engaged by making my classes interesting. I do this by introducing current issues about Italy and any other topics of interest to my students. I ensure my classes are tailored to my students` levels and create an atmosphere where students can ask plenty of questions. Lessons are planned to improve various skills, through the introduction of articles, audios or videos and usually end with a final task, when through a game or a role-play the student can practise the functions learnt during the session. My aim is to make Italian classes fun as this keeps people motivated and passionate about learning. My teaching methodology has been developed using techniques learned at the International House which has been refined with my personal experience. Italian Teacher The Financial Conduct Authority (FCA) London, United Kingdom Jan 2013 – Present I have been teaching Italian to employees at the FCA – an independent non-governmental body that regulates the financial services industry in the UK. The FCA has approximately 4,000 employees. Italian Teacher St. Albans school of languages St. Albans, UK Sept 2012 – Present St Albans language school, founded in 2004, is a popular spot for learners of english and modern foreign languages in Hertfordshire, located in the centre of the old town. Italian Tutor The Language Machine London, United Kingdom Sept 2012 – Present The Language Machine provides private language tuition with experienced tutors in the UK. I currently have two pre-intermediate level students and a GCSE student. I design a tailored course for all students. Italian Tutor Freelance April 2011- Present I currently have 7 one-to-one students. My clients are predominately professionals working in the financial services industry. I provide these lessons on-site at Bank of England, Credit Suisse, HSBC,and Skadden (law firm).